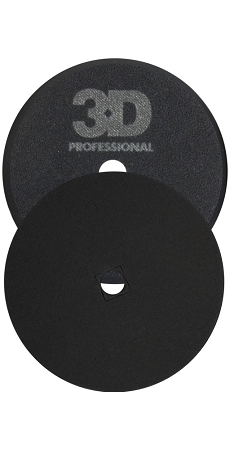 3D's finest finishing pad is the standard of High Definition. This exceptional black foam defies what a typical soft finishing foam is capable of. With its unique patented Spider-Cut technology and any 3D polish, this pad will remove light to moderate paint defects while providing a superior High Definition finish. The special cell structure and Spider-Cut design reduces the heat of the surface, eliminating the possibility of holograms, and increases the life of the pad. Once you've "finished" your glass like shine with the K-56SBK you will be finished using any other pad.